Prisoner Letter Writing Night: Chelsea Manning/Vaughn 17: Write letters of support and solidarity to Chelsea Manning, who is in solitary confinement for her refusal to testify before a grand jury, and the Vaughn 17 who are facing repression after a 2017 Delaware prison uprising. 6:30-8:30 p.m., Red Emma’s Bookstore Coffeehouse, 1225 Cathedral St. Author Visit: Jason Chin: Meet award-winning author and illustrator Jason Chin. 5-6 p.m., The Ivy Bookshop, 6080 Falls Rd. Emergency Baltimore Protest with Rep. Cummings #ReleaseTheReport: Join Rep. Elijah Cummings and other local leaders to call on Congress to make findings from Robert Mueller’s investigation into Russian election interference public. 5:30-6:30 p.m., War Memorial Plaza, 100 Holliday St. Stage reading of the “The Green Book”: Watch a performance of “The Green Book,” a two-act play by Calvin Alexander Ramsey. 7:30-9 p.m., Carl J. Murphy Fine Arts Center, 2201 Argonne Drive. New Perspectives on the Black Intellectual Tradition: Scholars from the University of Maryland, University of Virginia, and Princeston University discuss the book “New Perspectives on the Black Intellectual Tradition.” 7-9 p.m. Red Emma’s Bookstore Coffeehouse, 1225 Cathedral St. Stream Clean Up with La Cuchara and Blue Water Baltimore: La Cuchara and Blue Water Baltimore celebrate Earth Day by cleaning up a local stream in Baltimore’s watershed. 9 a.m. – noon, 2720 Gwynnmore Ave. Monthly Day Laborer Outreach: Opportunity to build relationships with community members who are waiting for work and provide them with helpful information, such as medical and legal resources in the Baltimore area. Donations of socks, backpacks, jackets, are greatly appreciated. 9:30-11:30 a.m., 6315 Eastern Ave. Imagination Celebration at the Maryland Historical Society: Crafts, movement, and games with community partners, early learning activities for children ages birth to five, free face painting, and souvenir photos to take home. 10 a.m.- 3p.m., Maryland Historical Society, 201 W. Monument St.
2019 DewMore Youth Poetry Festival: The grand finale of Baltimore’s largest youth poetry festival. 5-8 p.m., City Neighbors High School, 5609 Sefton Ave. 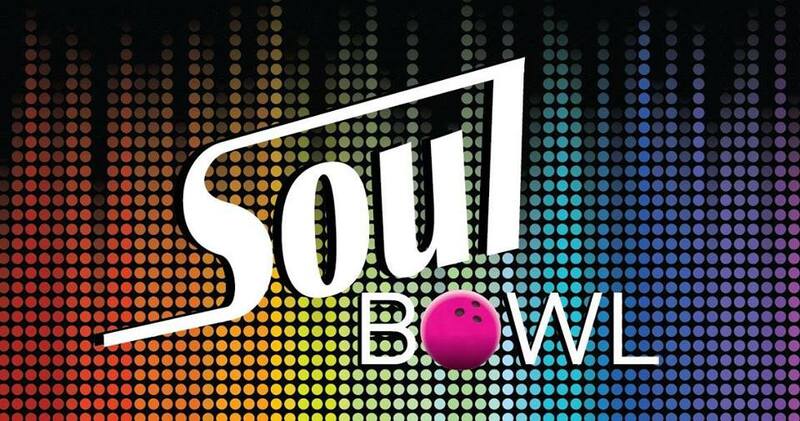 Soul Bowl: Opening Night: An adults-only evening of bowling, music, food, and drinks. 10 p.m.-1 a.m., Shake & Bake Family Fun Center, 1601 Pennsylvania Ave., $10. Opening Day: Baltimore Farmers’ Market: The 42nd opener of the Baltimore Farmers’ Market & Bazaar. 7 a.m. – noon, underneath the Jones Falls Expressway at Holliday and Saratoga Streets. Brenda Serpick Book Launch (Featuring Ailish Hopper): Celebrate the launch of Brenda Serpick’s “the other conjunction in it.” Serpick will be joined by another local poet, Ailish Hopper, the author of “Bird in the Head,” selected by Jean Valentine for the Center for Book Arts chapbook prize and as runner up for the New Issues Poetry Prize. 7-8:30 p.m., Bird in Hand Charles Village, 11 E. 33rd St.
Green Summit Lecture and Panel: Noted historian and author Jill Jonnes speaks about urban forests and green infrastructure. 7-9 p.m., Memorial Episcopal Church, 1407 Bolton St.
Building Community through Bmore’s Refugee and Immigrant Foodways: Members of the Baltimore-based Mera Kitchen Collective will talk about their work with refugee and immigrant chefs. 11:30 a.m. – 1 p.m., Albin O. Kuhn Gallery, 1000 Hilltop Circle. Baltimore City Public Schools Board of Commissioners’ Meeting: Monthly meeting of the Board of School Commissioners. 5-9 p.m., Baltimore City Public Schools District Office, 200 E. North Ave.
2020 Tax Payers Night: Ex Officio Mayor Jack Young, Comptroller Joan Pratt, City Solicitor Andre Davis, and Director of Public Works’ Rudy Chow will listen to public comments on the Preliminary Fiscal 2020 Budget. 6-8 p.m., Baltimore War Memorial, 101 N. Gay St. Growing Healthy Communities: Join the GROW Center for a panel presentation and open discussion on green spaces, health, and opportunities to improve community conditions. Workshops that build greening and food justice skills will also be held. 6:30-8:30 p.m., Langston Hughes Community, Business and Resource Center, 5011 Arbutus Ave. Writers and Words, April Reading: Local writers read their work. 7-9 p.m., Charmington’s, 2601 North Howard St.
Education and Youth Committee Hearing: Meeting of the committee aimed at finding a comprehensive approach for addressing youth violence in the city. 4 p.m., Baltimore City Hall, 100 Holliday St.
Are You Smarter Than a BCP 5th Grader? : Are the Baltimore “Big Shots” smarter than the 5th Graders from City Springs Elementary / Middle, Frederick Elementary School, Govans Elementary, Hampstead Hill Academy and Wolfe Street Academy? 6:15-8:15 p.m., American Visionary Art Museum, 800 Key Highway, $25. Black Women Lead: Harnessing Our Power to 2020: A sister to sister salon on how #BlackWomenLead at all levels. 6:30-8:30 p.m., 1199 SEIU Maryland/DC, 611 N. Eutaw St.